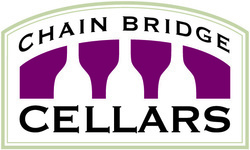 Join fellow Cypress friends at a “FREE” private wine tasting at Chain Bridge Cellars in McLean. There is limited space, so please RSVP to reserve your spot (first 40 people). Friends welcome. Come test your tasting skills with owner Doug House as you taste 4 pairs of wines “blind” (not knowing what they are). Some will be “premium” bottlings costing up to $50 while others will be sizzling values at less than half the price. Will you be able to tell which is which? And which will you prefer? Come raise a glass with us!